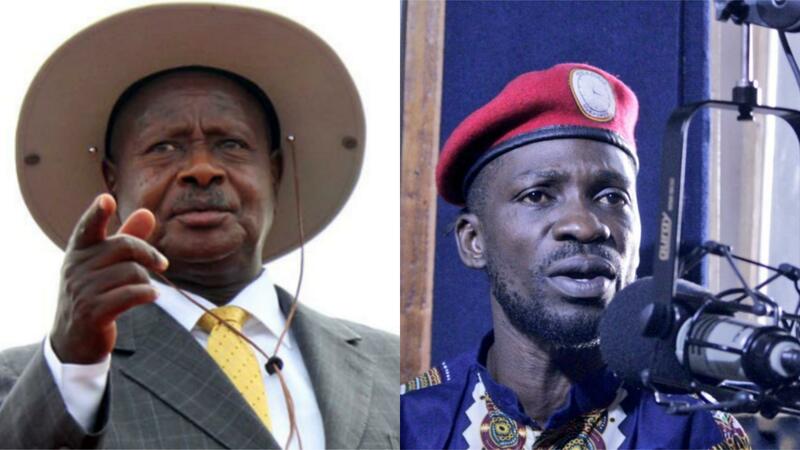 KAMPALA – President Yoweri Museveni has said nothing developmental will come out of donning red colours by opposition leaders. The red colour is synonymous with People Power, a pressure group led by Kyadondo East MP Robert Kyagulanyi, aka Bobi Wine, and has since taken the country by storm with many leaders and youth embracing the slogan, ‘People Power, Our Power’. Addressing a gathering at Kasana playground in Masaka on Sunday, the President said many areas miss out on development because they vote the green and red colours. Green is used by the Democratic Party (DP). “Underdevelopment stems from the poor leaders you send to us, they cannot succeed in demanding for development projects…even when you send MPs in Parliament but when they poorly dress up [red and green colours], nothing will come out apart from the few [projects] which comes under national planning,” Mr Museveni after launching the construction of Nyendo-Bukakata road. The 41km road, which connects Masaka district to Kalangala Islands through Bukakata landing site, has been appearing in the last 13 National Budget framework papers. The road would become unmotorable during the rainy season because of its sorry state. After years of complaints from Masaka locals, Mr Museveni said he would have acted to fix the 41km Masaka-Bukakata road if the area had elected a Member of Parliament from the ruling NRM. The President, while launching the construction of the road, argued that he would have heard the popular concerns much earlier. An Arab Contractor (Osman Ahmed Osman $Co) was awarded a contract to carry on this project valued about Shs195bn after the former contractor, Copri Construction enterprises W.L.L failed to submit a performance Security Report which forced UNRA to cancel the procurement.